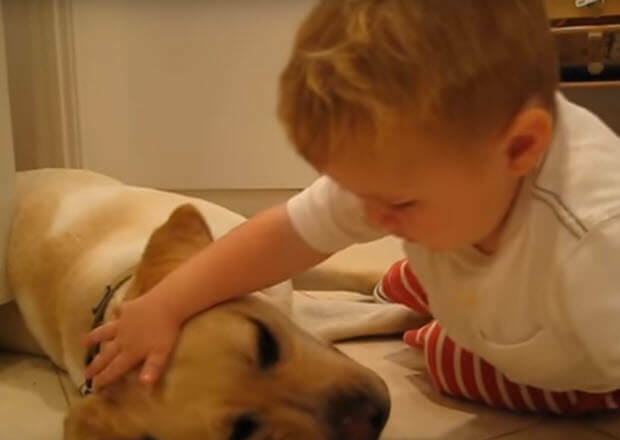 This Cute Little Boy Loves His Labrador Dog! He pets him and gives him lots of kisses, he knows to be gentle with him and it seems he just adores his pet Lab. The Little boy is posing for the camera as he is playing with his adorable labrador and gets a few pointers from his mother after he wipes his nose on his pooch. 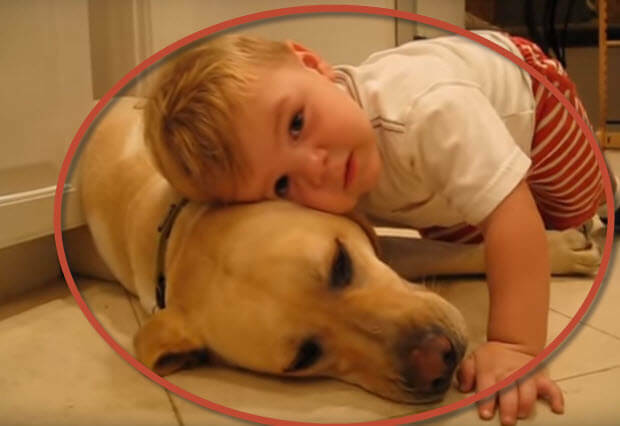 This is very adorable short family video with the yellow Labrador and little boy. It will definitely put a smile on your face and cheer you up, making your day brighter and more enjoyable. Lab Puppy’s First Day At Home That Will Make You Wish He Was Yours! Watch This Puppy Go Against A Paper Bag As His Brother Hilariously Watching!